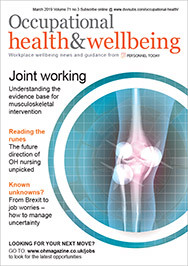 A group of MPs is to explore the health and wellbeing of prisoners and the prison workforce – particularly healthcare employees. The Commons Health and Social Care Committee has launched an inquiry into whether prison services are meeting the social care, physical and mental health needs of prisoners, following concerns about high incidences of suicide and self-harm reported by several organisations last year, including HM Inspectorate of Prisons and the National Audit Office. The inquiry will look into the safety of prisons and the effect the prison environment has on the physical, mental and social wellbeing of inmates and those who work there. It will consider the health implications of overcrowding, time out of cells, violence and the access to and use of psychoactive drugs. The committee will also look at the recruitment and training of the prison service’s healthcare workforce and consider whether the oversight and regulation of the prison healthcare service is effective. 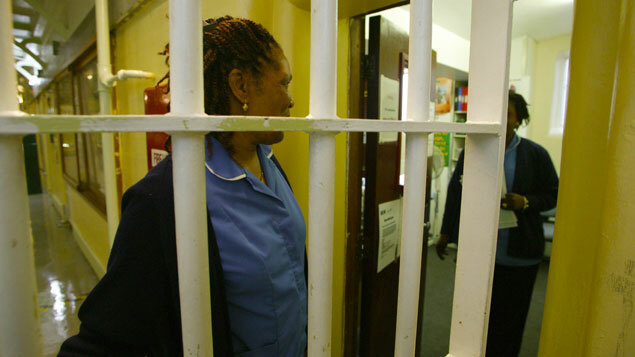 Last year the Royal College of Nursing (RCN) warned that prison nurses were concerned about austerity and overcrowding, and felt particularly under pressure because of the difficulty in attracting and retaining nurses in prisons. It said nurses often had to deal with complex issues like drug use, inmate deaths and self-harm, with some nurses subjected to violent attacks from prisoners. In 2017 a joint report from the Centre for Mental Health and prison reform charity the Howard League for Penal Reform argued that staff shortages have increased the risk of suicide in prisons. Staff inexperience and lack of training were also seen as exacerbating factors. The Health and Social Care Committee’s call for evidence closes on 21 May. Prison health care staff are mostly agency staff and really unhelpful and in some cases, callous. Heidi, the prescribing nurse at HMP Drake Hall frequently ‘forgets’ to order repeat prescriptions. I went without blood pressure tablets for over a week over a bank holiday. Then she gets nasty and tells prisoner to complain because she knows nothing Will be done about it. All part of the great treatment by Care UK. Scandalous amounts of money go into these prison Mental health contracts, almost £500m a year. The prison service fails its staff miserably. Fails to adhere to post incident management, fails to assess its staff for trauma, fails to provide literature with regards to PTSD. They even refuse to listen to Occupational Health recommendations too. I was diagnosed with PTSD and had an appointment with an OH Physician the Head of HR cancelled the long awaited appointment. They just wanted to get shot of me. I asked the Governing Governor to adhere to the Equality Act 2010. To allow me reasonable adjustments to which he refused. I managed to get the evidence to prove this statement. My PTSD determined how I reacted during a riot at a Worcestershire jail. I was later unlawfully sacked as a result. Denied a fair hearing according to the rules of natural justice. The support has been atrocious throughout, I’ve reported my concerns to the Deputy Director of Custody, The Corruption Prevention Team, the now Home Secretary Sajid Javid, The Prisons Minister. My concerns are ignored and I’ve been left feeling totally demoralised and deflated. I can understand now how staff have taken their own lives due to the treatment by inept Governors. They show a total disregard to our safety and are oblivious to the temporary mental anxiety it causes. I have since given information to the Prisons Inspector Martin Lomas, I should have been protected by law as being a whistle blower, instead I was victimised and harassed. Stay clear of this service it’s getting worse! Roll on the tribunal when I will be heard. Really bit late for experienced staff which have had the life and soul squeezed out of them who have been dismissed from the job…. Most of your spouses in parliament are responsible for the debacle that is the prison service!!!! Try paying prison officers a decent wage and stop working them into an early grave. Who the hell wants to be running to alarm bells through shortages of staff at 60 yrs plus. Prison nurses have to deal with complex issues on a daily basis. Pay does not take into account the environment that these nurses work in and where some of these prisons are situated. There is not much chance for nurses to climb the ladder so nurses leave. Nurses can never give a time that they will definately be off duty due to the nature of the job.